This page is for those who want the instructions to learn how to apply a mountain-fold. 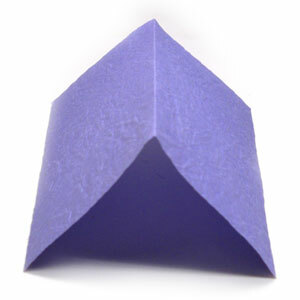 Mountain-fold is one of two important folding technique in origami. 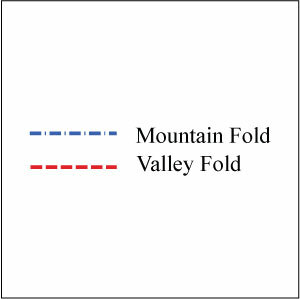 Equally important folding technique is valley-fold. If you know these two techniques, then you can fold almost all of simple origami models. Here I use the blue color for a mountain-fold and the red color for a valley-fold just for a convenience. For an example, if a diagram shows a vertical dot-dashed line in the middle of the paper, it means you should mountain-fold along the line. 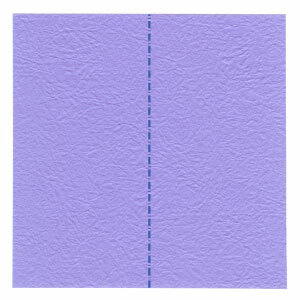 If you apply a mountain-fold to the dot-dashed line, the paper will be transformed to form a "mountain-shaped" figure. 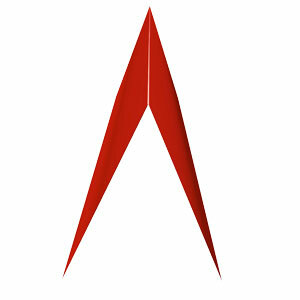 The result is exactly opposite when you apply a valley-fold which produces a "valley-shaped" figure.